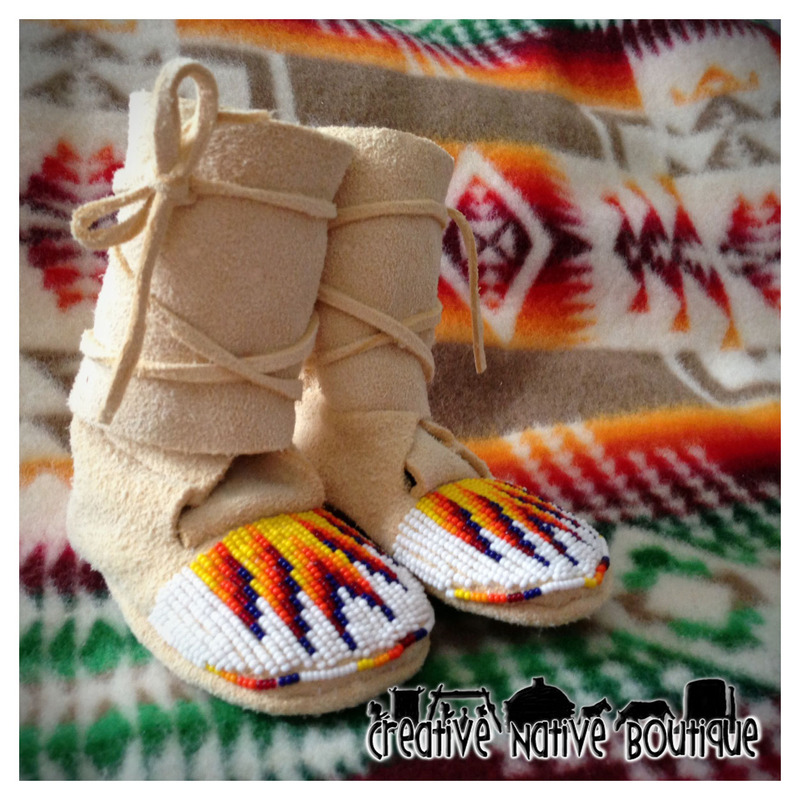 These moccasins are finished and ready to ship! 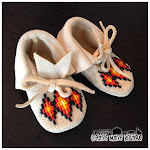 They are the cutest little high-top baby moccasins around! They are hand beaded with a Shoshone-Bannock design in gender-neutral colors; making them the perfect gift for that little baby boy or girl! 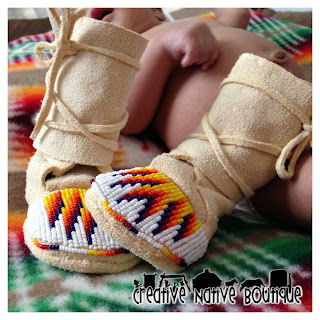 They are a size 1 and will typically fit a new born to about 3 months old. 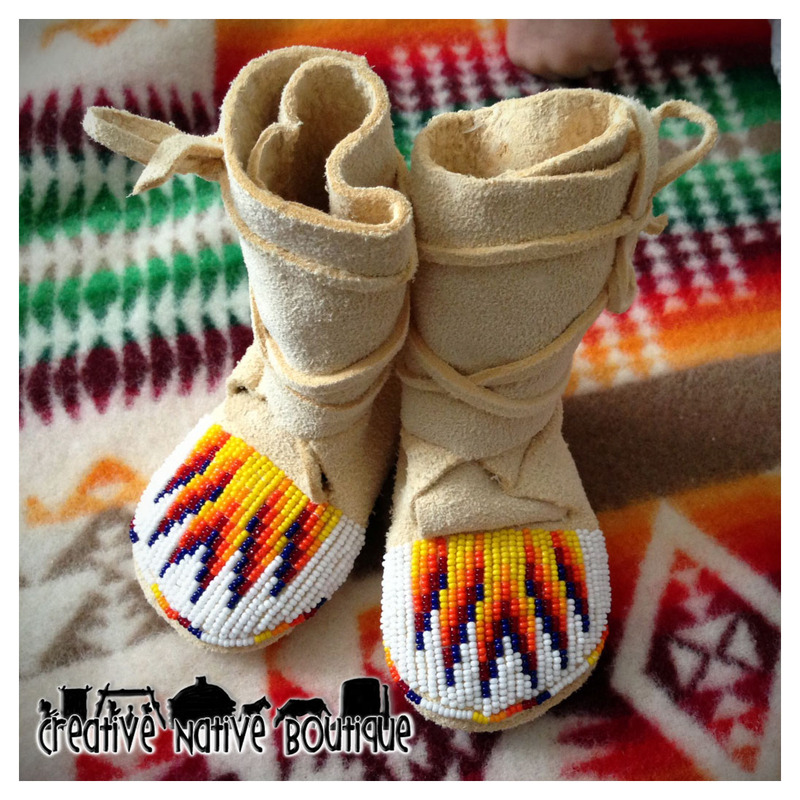 (Message me if you'd like exact measurements.) 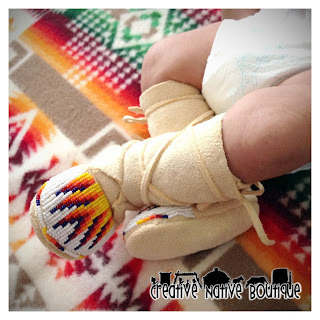 The high-top hits just below baby's knee, as pictured. 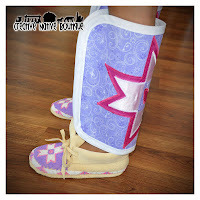 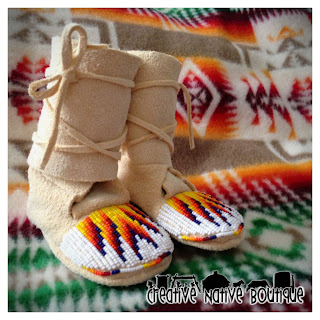 Click here if you're interested in purchasing these cute high-top moccasins!